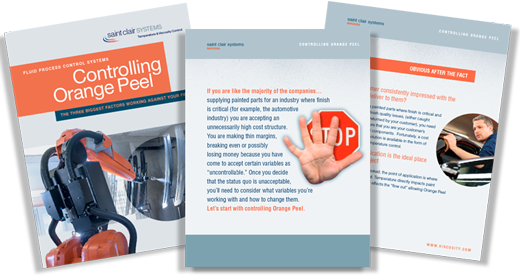 Saint Clair Systems' Point of Dispense Temperature and Viscosity Control utilizes our unique devices and philosophy to achieve unprecedented results. 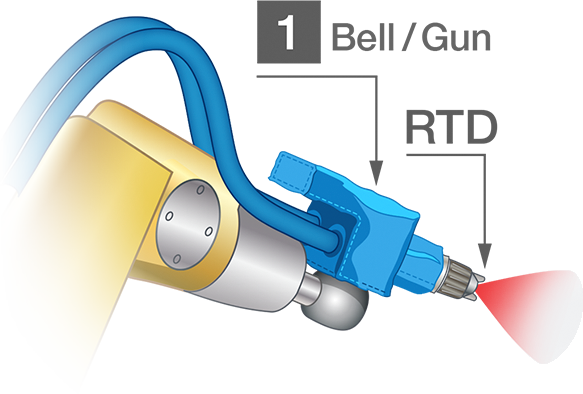 RTD senses temperature in the material path as close to the Point of Dispense as practical. An indispensable tool for accomplishing quality and cost savings objectives. Some companies are able to change temperature at the source. Only Saint Clair Systems focuses on controlling material temperature all the way to the Point of Dispense. 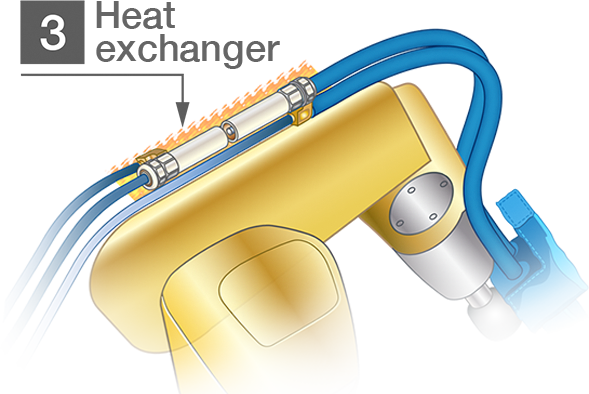 Saint Clair Systems' patented devices make point of dispense temperature control practical and easy to accomplish. 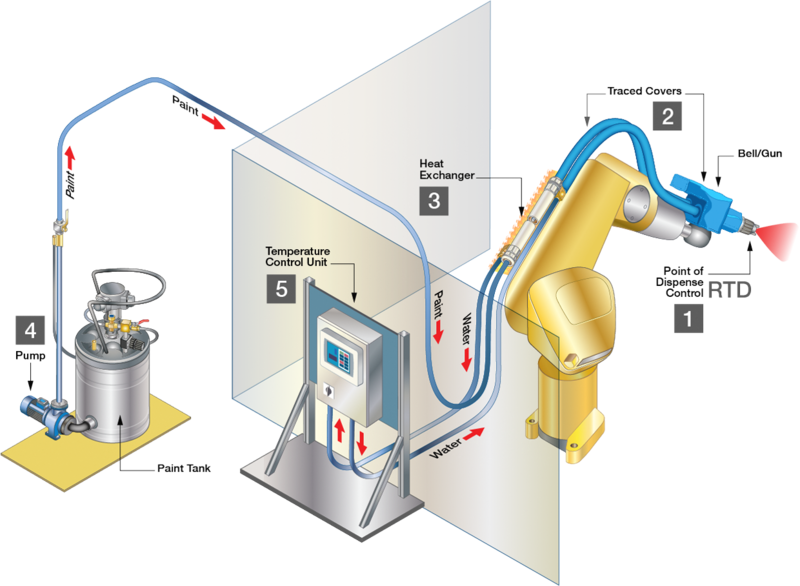 Our overall "System Approach" guarantees a material temperature of +/-1° at the point of dispense. 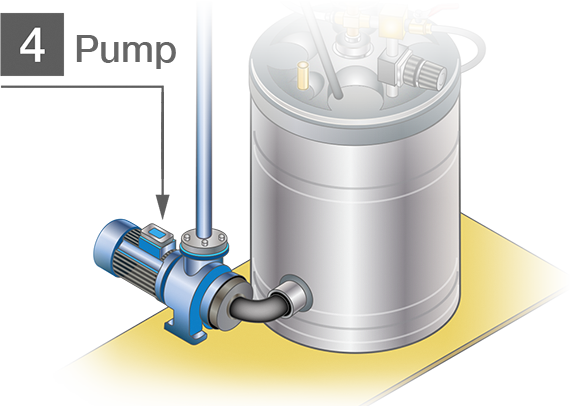 Saint Clair Systems has solutions for 1K, 2K, Dead End, and Recirculating fluid delivery systems. Saint Clair Systems' proprietary Thermal Sizing Tools enable us to recommend the most efficient devices available to address thermal loads in any dispensing system. We have developed the knowledge and product line to be able to match the requirements of any fluid dispensing system with the most efficient devices to control and maintain temperature all the way to the point of dispense. 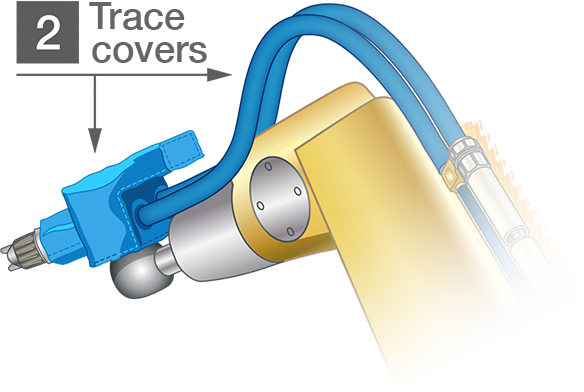 When required, we can provide highly customized designs to handle even the most unique requirements. Temperature control in the mix/supply room is ineffective. Any control achieved there is lost as the material moves towards the point of dispense. Investment in fluid temperature and viscosity control should be spent in the dispense booth, where it has the most impact. 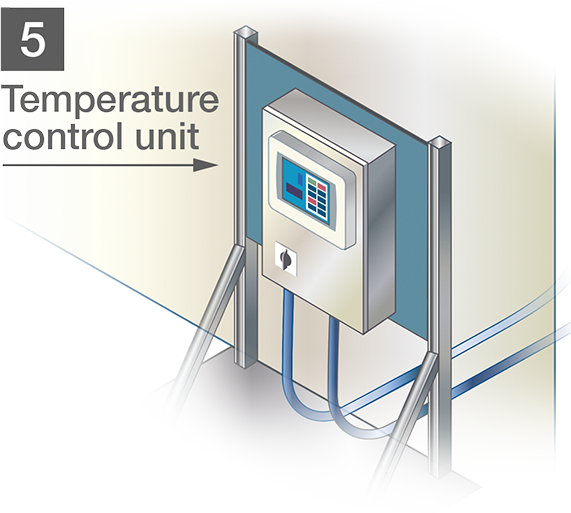 There are special occasions where control of temperature and viscosity is required at the source. Saint Clair Systems can utilize our proprietary thermal sizing tools to tell you when that makes sense. A totally self contained, balanced and closed loop system. Sized to seamlessly provide the required heating and cooling to achieve and maintain +/-1° material temperature at the point of dispense. Our systems can be configured to communicate with any line host controller. Our proprietary thermal sizing tools ensure the right capacity so you pay only for what you need.